Oh, to be Benedict Cumberbatch. First of all, his name is Benedict Cumberbatch. People in the United Kingdom apparently use his last name as a verb, as in “he has cumberbatched the audience”, which does sound like the type of thing those fine people in Britain would say, now doesn’t it? I’m flummoxed as to what it could possibly mean, though. Benedict Cumberbatch, or Bandersnatch Cummerbund as he’s known in the Washington Post, is an English actor of some renown. My theory is that he is at least 12.94% more successful because he’s called Benedict Cumberbatch than he would be otherwise. Many actors with such polysyllabic nominal constructions tend to change their names Archibald Leach style, but Mr. Cumberbatch made the wise decision early in his career to keep his given name. The result – he was named British GQ Magazine’s Actor of the Year for 2011, commonly known as the most prestigious award an actor can ever receive. This makes me think he should write for this blog, to give us a proper posh sounding English voice among our writers. It’s a tone that would particularly give a nice flourish to all our baseball related articles – Rollie Fingers, what a fluffy old name, old sport. And anyone who describes their own name as fart in a bath would probably fit right in here at Funny Names HQ. I’m sure we’re next on his list of things to do, just after the Spielberg flick and before the Oscar. So let’s see, what else is there to say about someone named Bandersnatch, I mean specifically not named Bandersnatch. He’s had a few very good years as an actor, appearing in Steven Spielberg’s War Horse as well as playing Stephen Hawking in a film cunningly titled Hawking. 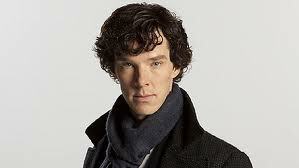 He is perhaps best known for his role as Sherlock Holmes in a BBC series about the detective. One would hope he was most famous for performing in something called Rumpole and the Penge Bungalow Murders on BBC Radio 4, but something tells me some of you out there might have missed it in spite of its fabulous title. So there you have it. There’s no name like Benedict Cumberbatch to propel you to worldwide fame, which he surely will achieve in the next few years, playing the well named dragon-type fellow Smaug in Peter Jackson’s The Hobbit, as well as a leading role in the forthcoming sequel to Star Trek, which will probably not be called Star Trek XII, but really ought to. The number of times he has been suggested as fodder for this blog actually implies he’s already reached that fame. Hey, it couldn’t have happened to a funnier-named individual. This entry was posted in Uncategorized and tagged actors, cinema, comedy, funny, funny names, humor, movies, tv. Bookmark the permalink. Haha, yeah, we had to post about it eventually, and I’m glad that Arto decided to. That name was just begging to be mentioned. 1. I’m glad you got around to this one. This has probably been the most requested name in the history of our blog. 2. You forgot to mention that he married Englebert Humperdinck earlier this year: http://www.thepoke.co.uk/2012/01/12/engelbert-humperdinck-marries-benedict-cumberbatch-for-a-laugh/ That probably takes the cake for funniest-named marriage ever (and by probably, I mean definitely…blowing Vlurma/Titus Byrd and Demerle Goin-Rankin/Glynn R “Scotty” Wolfe out of the water). 4. It’s a remarkable feat that there actually exists a funnier name for a guy named Benedict Cumberbatch. 5. I was going to say “Bandersnatch Cummberbund… You can’t make that kind of name up,” but apparently someone did. Well played, whoever that was! 1. He’s very popular with the young ladies in particular. Opens up a desirable demographic for us. 5. Yes, well played. She apparently also refers to Ryan Seacrest as “Seabiscuit”, which is a fairly horsy nickname, which gets us back to Outerbridge Horsey, and that just makes everyone happy!. That’s for the post! Yeah I had seen the “Bandersnatch” thing. Funny. In fact, BC almost has his own stand-up routine about his name. Yes, I have listened to Rumpole and the Penge Bungalow Murders. Haha, I do love the term “cumberb*tch”. That’s a great video, I think he checked every single funny variation of his name I thought of while writing this and discarded as silly (“cucumber patch” was *this* close to being included). We should all be very grateful he never changed his name to Benny Combs or something. Hooray for Benedict! Glad to see this post. He does a great Sherlock. We were set to hate a modern Sherlock but the way it was written and acted is so clever. They did a fine job of not f***ing this up. Hiring a guy whose name would’ve been amazing even in 1895 was definitely the right thing to start with – you just knew they’d be successful. I was waiting for Benedict to appear on here. Literally the greatest name ever. I couldn’t believe it when I first heard it. Either name in isolation is fabulous – ‘Benedict Brown’ or ‘Clive Cumberbatch’ (actually ‘Benedict Brown’ sounds like a make-up manufacturer) – but the two together is just dynamite. That does sound like a make-up brand! Haha. Señor Cumberbatch was a popular suggestion (it’s even better somehow in a Spanish accent – or maybe it isn’t and it’s just Friday afternoon loopy time) and it was time to roll him out. Thanks for another great comment! He recently won an Oliver though. You should give him that. And I am actually hoping he gets nominated for an Emmy not just because he totally deserve it after his masterful portrayal of Holmes but also BECAUSE I WANT TO HEAR HIS NAME ANNOUNCED IN THE AWARD SHOW. That is a wonderful point. I hope he gets all the nominations in one category at one awards show or another just so they’ll have to keep repeating his name. 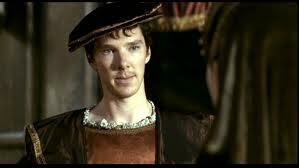 Oh – he is a little bit superb in Sherlock! Call him what you want, he sure is handsome! Just shows you don’t have to have a matinee-idol like name to be one. Imagine if Cary Grant had never changed his government name (Archibald Leach) or if the dimpled chinned Issur Danielovitch hadn’t been re-christened Kirk Douglas. Very true! You possess quite the funny actor names vocabulary! I’m impressed! Yeah!! Ha soo funny but you’ve got to love the guy just for his ridiculous name! with experience. Any hslp would be enormously appreciated!